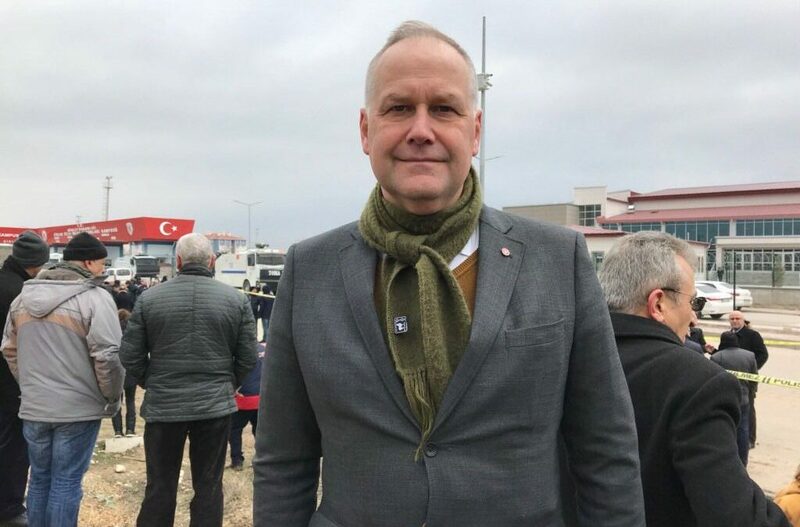 Swedish parliamentarian Jonas Sjöstedt said that Turkish police threatened him with arrest in Ankara, where he attempted to monitor the trial of jailed pro-Kurdish politician Selahattin Demirtas on Thursday. The chairman of the Sweden’s Left Party said he was prevented from attending Demirtas’s hearing as an observer, and police threatened him with arrest in case he spoke to the media. “[Then] we had to leave,” Sjöstedt told Sweden’s leading Aftonbladet newspaper. An Ankara court ruled on Thursday to keep Demirtaş, the co-chair of the Peoples’ Democratic Party (HDP) behind bars. He has been under arrest along with other party lawmakers on terrorism charges since Nov 2016. “We feel strongly that we do not want to abandon them. But it is clear that Turkey knows there is no reason for imprisonment and therefore, we are ruling out a fair trial. …They are a big left party who also works for Kurds’ rights, a democratically open party. They were the first target of Erdogan’s government when they began to restrict democracy in Turkey. The only reason for the arrests has been that the HDP leaders made political statements about a peaceful solution to the Kurdish question and criticized Erdogan. …They shut out all critical reviews. Then you think of those who continue to be active here, they take these risks every day while we can go home to safe Sweden. But this only makes it more important to back them up and support them in the future. …As long as we have the opportunity, we will try to guard trial and visit people in prisons. I think that international pressure is crucial for the presence of any democratic opposition in Turkey. …Turkey is today the EU’s border guard to keep away refugees. This makes them feel quite sure they can do as they like. Now you have to be clear to Turkey and put pressure on the economy. Erdogan today uses this reliance on breaking the opposition. Then we have a responsibility to speak up,” Sjöstedt maintained. Earlier this week, a motion was filed against 19 more HDP deputies for disseminating propaganda on behalf of the outlawed Kurdistan Workers’ Party (PKK).